According to the gear link above, 66 people clicked "I had it"
I think they meant "I've had it [with this piece of junk]"
Nice analytical comment on your part. I think you have just proven to everyone how much of a biased reviewer you can be. Congratulations on making one of the most ridiculous comments today. I wonder how the project managers & designers at Nikon feel after spending 4 years to produce such an embarrassment. Their problem is they think Canon are their main competitors. If they were less secretive and had shown it to people other than their endorsers/celebrities they might have gotten a clearer picture. It's hard to see what ground breaking technology could have been stolen. "I wonder how the project managers & designers at Nikon feel after spending 4 years to produce such an embarrassment." "Their problem is they think Canon are their main competitors." Just a joke to keep up with the spirit of comments. Those Fuji X APSC bodies have had some troubles. The lenses are good. Olympus has ISO limitations, though excellent if expensive lenses, Sony just thinks that launching 5 different systems will win the struggle. SLR FF, SLR APSC, SLT FF, SLT APSC, mirrorless APSC, mirrorless FF, so 6. Needless to say you forgot Samsung, excellent image quality. One of the lenses surpasses the optical quality of the best Fuji and Olympus lenses, bodies have some design oddities, but work well enough if you don't need a fast buffer. More lenses than the Sony mirrorless system. 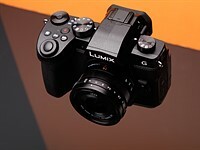 Then the Panasonic GX7 is excellent, not the kit zoom though. And it suffers from high ISO trouble like the Olympus bodies. Little bit of exaggeration with sony and the number of systems. The slr and slt models aren't different systems. No more than a d800 and DF are different systems based on having a different viewfinder. They do produce a few more bodies than most but big deal. They have two lens mounts same as canon and nikon. A slr/t mount and mirrorless mount. The only difference is they make a ff mirrorless model. No, it shows that everyone cedes the DSLR market to Canon and Nikon. If Fuji put a full frame X sensor in a D800 body that uses Nikon lenses like they did with the SPro series... I would take a look. For wedding work, DSLR's still rule. OVFs still rule. Limited to lens mounts you sort of have a point, but there are two mirrorless lens mounts from Sony--yes I know they kind of overlap. And I think of SLTs as a different system than SLRs, though right they take the same lenses as long as you don't try to mount one of the APSC only lenses on an A99 or A900, but Nikon would have that trouble too. 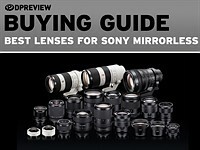 Sony has taken a very scattered approach and ignored the big holes in the Nex system lens line up for too long. Doesn't auger well for the FF mirrorless system--though that's off to a better start. Kudos to the DPReview staff who did not go gaga over the retro styling but maintained a sober perspective on a camera that is neither here nor there. Do Nikon provide a split image focussing screen for this camera? 3rd party company can do it for u if u really wanted it. Few people had mod their dslr before. Just google it. Handling my DF feels just perfect. Everything goes where it should be. It is pretty compact. Here Nikon's long experience shows. The problems arise when it comes delivering results. >>High quality JPEG images with pleasant color at default settings? Nikon never had a good jpeg engine. And I can confirm what the review samples show: Horrible JPEGS with noise from ISO 3200 onwards. My Fuji X.E1 and now X-E2 make much more pleasant JPEGS and is up to ISO 6400 practically noise free. Auto ISO works here pretty well. With RAW processing everything will be likely much better. An a low light sensor with a autofocus system that only works in bright sunlight makes no sense at all. At the Christmas market the Df was hunting focus all the time while my X-E2 can focus pretty well in the dark. While manual controls often help a lot the controls Nikon screwed on top are useless gimmicks. E.g. setting the shutter dial does not turn on S-mode. So the best low light performer on the market (DxO marks) has horrible noise at ISO 3200? Does the D3S/D4 have horrible noise at ISO 3200? Seems believable. To bad nobody told the pros. And the AF of the Df only works in bright sunlight? OK.
A Fuji embarrassing this Nikon for low light focusing says enough! but how "pure" your photo experience will be if you have to spend many hours in front of such a complex machine as a computer using such a complex software as a RAW converter? It is pretty obvious that ahaack has never used much less owns this camera. According to Thom Hogan - not exactly a newbee and idiot when it comes to cameras - the sensor of the Df is tweaked and even better than the D4, and (hence) the absolute king of low light. Odd that DPR didn't mention that interesting detail. Thom doesn't complain about the AF either - to the contrary, to quote: "It's night, my big office is lit mostly by my monitor, there are deep shadows everywhere and I point the Df at something black over in one of those shadows that has no contrast and…the camera just focuses (I'm at ISO 1600, f/1.8 and 1/15 if you must know). Pretty much like I expect from my D800, actually. " Otherwise I guess it's a question of taste - but I for one like the design. Unfortunately Thom Hogan views are limited to Nikon gear. A monitor can bright light source and he also says " Yes, if I try I can find things in the office where the camera struggles to find focus". That are exactly the things where my X-E2 can focus (w/o focus light) and the Df keeps hunting focus and never locks. Unfortunately these are pretty realistic scenarios. He also states: "Yet the feature set feels more like the camera ought to be priced closer to the D600." With that I go along. But what for the price the camera delivers is not acceptable. Astonishing conclusion in your short review. I think that I rather skip this one. Really? I am a happy idiot, and I love my new Df. I sold my D600, and have to say that performance under low light is impressive, at least when compared to my old camera. And why can't we have a digital F3? Been shooting with this combo for about a week now and I am amazed by the results. Image quality is stunning, especially when shooting in low light situations. Armed with a fast f/1.4 lens, you could literally shoot in dark with the Df and get amazing results." Then you also have the reviews by Bjorn Roslett, that absolutely loves the camera. Even the review by Thom Hogan which is a little more subdued, gives the camera a recommended rating and Thom even goes as far as saying that the camera focuses as well as his D800 in low light. So what idiots are buying this camera? The ones who read more than the one review and opinions of online forums members that have never shot the camera. Well, both these guys rave about everything. Nasim's site is for Nikon fans. Of course that doesn't mean it's not a great camera anyway. Ken Rockwell says it's the greatest camera since the universe was created so that makes three thumbs up. It takes an idiot to write such a biased comment. Reviews are just opinions. And one persons opinion is just as valid as another persons. Reading the comments/opinions here, I think the negative feedback for this camera is quite overwhelming. A very small amount of people saying they like it doesn't really mean anything. Ah, yet another "pro" who never held the camera or tried it. Odd, that this "pro" missed all the other testers (Steve Huff, Thom Hogan) who are quite impressed by the camera and the performance. WE are all impressedabout the performance of the camera, ...... beyond 6 500 ISO. At 100 ISO it has nothing to compete with the rest of the market, or do you really think that 16 mpix FF is the paradise on earth. At Sony FF you can chose 24 or 36 mpix FF. Now, guess which one sells better? Of course the D610 is going to sell better than a specialized body like the Df. Yeah, work above ISO 6400 is a real draw for many. And many of that many will also have another DLSR like the D800. I'm sure that the Sony A7 and A7r are selling, but only time will tell if they are successes, while the D800 already is--for Nikon. The Df is Nikon's answer to mirror-less, a segment both they and Canon are terrified to really get into, for various reasons. Maybe Df was the attempt to separate themselves from typical mirror-less segment but since Sony's A7's, they wil more likelyl revise the philosophy about the potential of smaller fully fledged system with slightly smaller lenses. Of course, this would put entry level lines of DSLR's at risk but on the other hand they are already at risk competing with maturing M4/3 systems. Interesting times ahead, I think. I can easily envision specialized pro segment parallell to "affordable" mirrorless (including FF) offerings in the near future from Canon and Nikon. I don't know where you've been hiding for the past year or so but Nikon and Canon both have mirrorless cameras on the market, and the Df has a mirror so how can it be an answer to mirrorless? Unless the answer is denial/rejection. Retro-styling - a sign of a technology in stagnation. 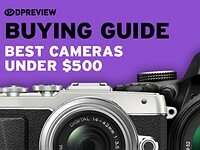 You mean like the Olympus OM-D, EM-1 and the Fuji X-series? It's the admission that newer is not always better but there's a trick to it. You hide the new stuff in an old looking body and Fuji seems to have a handle on this. The locking pins probably took 4 years to design. HOW SMALL AND LIGHT IS THE NIKON Df? To be clear: This is the smallest and lightest full-frame DSLR ever - smaller and lighter than any FF DSLR from any maker. WHAT CAN YOU PACK INTO A SMALL CAMERA BODY? The 51-point AF module of the D800 or D4 takes up a lot more space at the bottom of the camera body than the 39-point module of the D600 / D610. Dx cameras like the D7100 can accommodate the bigger module because they have a smaller mirror housing -> more space underneath. For the very compact Df, the 39-point module is the only option - just like for the D600 / D610. Same thing. Nikon's lens bayonet requires a spring-loaded lever on the lens which opens and closes the aperture. In order to move this to correct settings when using live view, a step motor is necessary. There is no room for this in the Df, or the D600 / D610. SMALL AND LIGHT, IS THIS GOOD OR BAD? No camera is perfect. I am going to stick with my D600 which is truly amazing, even better in some respects than the Df, and does the same thing. Still, the Df is very different, and I can understand that many people will fall in love with it, and will use it to make amazing photos. Try to hold one, with an heavy lens, you'll see…. Federico, firstly my point is that the 39 point AF module is the only one that fits into the Df. But since you bring up its performance I cannot help wondering, have you used the Df (or the D600 / D610)? I live in the dark north. 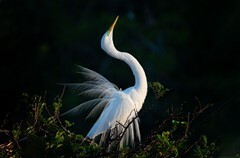 I often take pictures in very dark environment, up to 10 000 ISO and slow shutter speeds. I use single point all the time with my D600 (when I use AF, most of my lenses are MF). I find this single point completely satisfactory. If there is something lit enough for bothering to take a photo, the D600 (like the Df) will find focus. Unlike the Df, my D600 has a focus assist lamp which I never need to use. I am not saying that all is good. Just that the Df is a very small full frame DSLR and that it is rather witless to criticize it for limitations which come with its small size. I just tested again, put the lights out in my living room, with just a faint glow coming from the room next door, and aimed at a picture in the corner, not a contrasty scene, could hardly see with my bare eye. My D600 locked focus instantly with the 24-85 VR at 85mm, ISO 10 000 (Hi 0.7), 1/10s at F4.5. I guess Nikon had it coming, claiming that the Df sensor goes all the way to ISO 204 000 - reviewers will dial in this high ISO and point the camera out into the darkness, and the AF will go hunting. I know there are better autofocusing cameras out there, like the D4, but I find the AF module of the Df (= D600 = D610) impressive, even in very dark environment. Sorry, my D600 couldn't focus even in easier ( brighter ) environment. I mean moving subjects, of course. Thank you, Mike!! I do really appreciate your work ! Well DPReview, don´t bother doing more reviews. With this unjustified 81% you lost all credibility. And, yes, not having video at this price for a common old 35mm sensor is unforgiveness. It doesn´t deserve more than 75%, recognising Nikons efforts of cheating consumers. Such a biased opinion has no credibility. You may want to check the lowlight AF yourself, many people find the performance good. The A7r is no where near as good at lowlight high ISO shooting as this Nikon. Those aren't the greatest Zeiss lenses for the A7r and the A7r aint real good at lowlight high ISO shooting. Very audible be the A7r too. This Df's sensor is also a good bit better at high ISO lowlight shooting than the sensor from the A7 or D610. Bought another D800e, I'm happy with it, so I think the A7r could be fine. Such an atrocious camera design on the Nikon. The on off switch is fiddly to use, the mode dial needs to be pulled to adjust, the shutter dial has a locking button but you can force the dial without pressing the button anyway. The front dial requires you to dig a fingernail into it to rotate. The ISO dial and lock require awkward finger placement to use, the fake leather is different on the front compared to the back, and it feels so light you have to wonder if its really metal. Also, the lcd panel on the top is so small it doesn't have anything more than the basic info on it. Which you're meant to be able to see on the dials anyway. But because this camera design tries to do everything at once, it doesn't do any one particular thing well. I've used manual film cameras from the 60's and this camera is nothing like those. Have we really gone backwards with this sort of thing? Another nail in Nikons impending coffin. I don't believe you when you say that you have used cameras from the 60's. Camera's in the sixties did not have integrated exposure meters etc etc. I have a whole collection of cameras that date all the way back to 1902 and believe me this camera is totally different from any cameras from the sixties and behaves like a fusion between cameras from the 70's and modern digital cameras. By the way, I don't remember seeing large lcd panels on top of cameras in the sixties. The DF is not perfect but it offers the option of using it like any other dslr and also the option of using it like older cameras with dials. It functions both ways very well as long as you understand both user interfaces. The Minolta SRT-101 was released in the 60's and had a TTL meter. Based on this I didn't think it was worthwhile reading the rest of your comment. The minolta srt-101 was released in the late 60's and early 70's. Think you've confused an Minolta SR-1 with an SRT101. My SR-1 does not have meter built in to it. fmain, you sound like you are really exhausted trying to use this camera. You make it sound so terrible. I would hate to see you run a marathon. I don't think it would be very healthy for you to use SUCH a complicated camera. "Camera's in the sixties did not have integrated exposure meters etc etc." and offered that as a reason to believe I hadn't used older cameras. "The Minolta SR-T 101 is a 35mm manual focus SLR camera with Through-The-Lens exposure metering - TTL for short, that was launched in 1966"
Basically, your many years of camera use and your collection of old cameras adds nothing to your knowledge and expertise. (What a waste!) Therefore you have absolutely no grounds to add anything useful to this discussion, and that shows in your poor responses. I might also suggest you take up some reading and comprehension classes. Helps when you're on discussion board. I use a D700 and D300 and want to trade the D300. 16mp is just right, D4 too expensive, D800 too large files, Df looks ideal and I really like the manual controls for the major functions. Would immediately buy one but feel Nikon have short changed us with the focusing system as the price is now more or equal to the D800 in the USA. Will for the present I will keep what I have. Give me a D4 or a Sony A7r and keep the faux retro for Fuji!!! And many people have reported that the AF in lowlight is just fine. It’s a lot quieter than the D4, less monies too. So why don’t you try out the body somehow before believing what you’ve read online. NB: Manual focus works well and there was a world before AF, in fact AF on SLRs was a joke for years. Also not "faux" anything nor is say a Fuji XPro1. This has been to only review which mentions anything about slow focus. "It's night, my big office is lit mostly by my monitor, there are deep shadows everywhere and I point the Df at something black over in one of those shadows that has no contrast and…the camera just focuses (I'm at ISO 1600, f/1.8 and 1/15 if you must know). Pretty much like I expect from my D800, actually. " "but frankly, I'm surprised at the things that it can focus on". Hmmm. Odd, that this seasoned (real!) pro seems to think differently. Caveat:I'm not a Nikon user but Ive admired most of their products. It's hard to see where Nikon is going with this product. For the same price (approx.) you can get a state of the art sensor in a Sony A7r with a great prime Zeiss lens (either 35 or 55mm). I know it's like comparing apples and oranges. But this is 2013/14. It wasn't so long ago this very site was criticizing any new DSLR that didn't have video whether we wanted it or not. I could get an used film Nikon on eBay if I wanted to go retro for a lot less - or take the 610 and stay up to date. This appears to be price gouging for nostalgia's sake. What's worse, it doesn't show what direction Nikon is going. The only good thing is Nikon has not dropped any of the pre-existing choices and are still presenting their excellent lenses. So tell us what it should have cost? As much as a plastic D5300? The same as the heavily-compromised D7100 body? Obviously you are not a Nikon user. A7r with 55 is more expensive (2399 + 1000) $3399 give or take. A state of the art flash system that also is wireless. A full upgrade path up or down. A small camera body that loses it's size once you add legacy lenses and adaptor as well as loosing most of the key features (AF, VR) once you attach with adaptor. Focus tracking that is equivalent to a point and shoot not a DSLR. 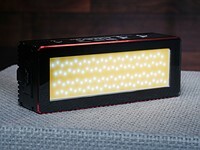 The best low light camera which can't focus when light levels are low…interesting. A D600 which costs, here in Italy, 3200 €. No, thanks. I'll keep my 2 D800e and I'll get a Sony A7r. The lowlight AF of the Df is in the class of a 200$ camera. IF that is good you are set. I was initially excited but am now somewhat disappointed. Not necessarily about the Df but about the direction the camera market is going. And the Df is a perfect example for this. These days, the manufacturers deliberately seem to make cameras worse to justify a - let's be honest, still - ridiculous price for what they are and then advertise it as the next best thing you never knew you could miss. Apart from the sensor, you could have a similar camera (including video) from a camera the fifth of the price! All that's missing now is for Canon to release a retro full frame camera that's worse than the 50D! I can understand this type of camera is appealing as a reminder of the "god old days" and/or status symbol. And everybody is entitled to their own opinion!!! It is, however, not a camera for someone like me, who is looking for an upgrade to my D7000 that hasn't got a ridiculous amount of MPs. Why not put the 16MP full frame sensor in a D300s and keep a cheaper retro line as well? Because the D300s body with that sensor would cost $2500+ now (it's far above your D7000's body) and that puts it above the range of the D610 (which also has a second-rate body). 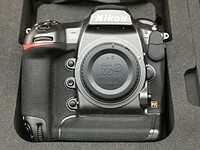 Nikon has set its targets and any new body in that area will be a D800 upgrade. RichRMA, if the D300s is far above the D7000, I would like to ask the question, what Nikon replaced it with? Different target groups, I agree. Although the 16 MP sensor is literally years ahead in engineering of the D300s. Where is the Nikon all metal bodied APS-C model like the Pentax K-3? A D300s with that sensor would put the D610 and the Df to shame! And at $2500 dollars I would get one of those!!! That is my point exactly!!! "Worse" in what way? And "worse" than which Nikon DSLR? By the way "poor lowlight AF" is not an acceptable answer. I'm talking about shutter speed, flash x-speed, max frames in a burst, AF points, .... that sort of thing. All those things that we know, Nikon is capable of performing well in certain models. For any product in that price range, I'd expect at least the standard set of features of a £600 D7000 for example, plus something else. The sensor alone can't justify a £2000 premium, can it? So what is all that money spend on - downgrading? Putting it into a most profit margin price bracket for all the wrong reasons? I don't get it. I wouldn't buy a brand new very overpriced car, that is poorly equipped, has no extras, looks like a 70's old timer but drives well, would you? I'd either have the real thing or go with the times to make life as easy as possible. But then you can't argue argue about something that's decided with emotions. Not my cup of tea though. D7000? Horrid in lowlight compared to this. The D7100 has a slow buffer. The D4 sensor alone does in fact justify a price higher than the D610. Flash sync: You do understand why that's limited with focal plane shutters, right? You don't get my point, do you? 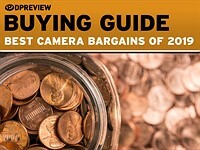 It should take better pictures than the D7000 at that price! And do you know the production price of a 16MP Full Frame sensor? I don't. It's funny how all comments on forums become personal insults after post 3! By what criteria can a sensor justify the pricing of a camera. A D4 sensor could possibly cost a bit more because of the smaller amountd made. There is no magic in the D4 sensor. It has pixels as big as an old 8 mpix APSC sensor of the mid 90 ies. The fact it has this high senitivity in darkness and that is due to 2 things only. 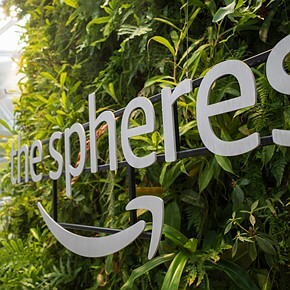 First the physical part, huge big pixels, then the progress in technology. Sony, or any other sensor designer could take a 10 mpix APS-C sensor like the excellent one in D200, and make a super camera with high sensitivity in low light with the knowledge we acquired in 15 years. There is no magic in this sensor. If there was a 36 mpix having this sensitivity, I would speak about real progress in sensor tech. So, what makes then the price of 6000$ for the D4 and 2750$ for this Digital Flopp? The answer is Nikon, not the sensor. An F6 11 point AF system, a matte with Fresnel/split prism, price to 1950$ for the kit, and Nikon sells sh.tloads of them. Sure there's magic in this 16MP sensor, like the 12MP full framed sensor before it. The magic is called better dynamic range, then of course there's that other thing. Even the D610 does better DR than the D800, see the equation there? 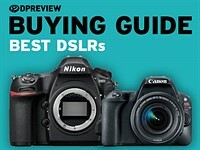 DPReview, thank you for the review. Lots of interesting cams to discuss these days. This one is out of my price range for a while but it doesn't mean I don't like to read about it. For some reason i keep looking at the Df... It looks like one of those tiny keychain fake camera's, blown up to actual camera size. Bulls eye! I tried to nail it myself. But .... you did it for me. Thanks. It's a tribute to older cameras in many. No one expects you to understand this. I owned (still have the FE actually) two of those older camera's and loved them. Calling Nikon's latest half baked retro attempt a tribute to the original engineering miracles they made is just not right, understand that. Happy to buy at £1600 body only. This seems a fair price to me for a camera spec-ed similarly to the D600, but with better build quality. Instead, I'm forced to buy at £2749 with a lens I don't need. No thanks! Quite simply, this camera is over priced. 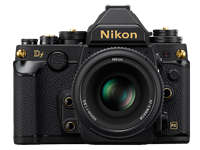 Nikon is not going the sell the Df for less money than the D610, particularly while the D4 is still selling new. The d610 sells for £1300 right now. Unlikely, please provide the link to a reputable photo gear retailer at that price. Don't confuse the D600 with the D610. Then again: "Nikon is not going the sell the Df for less money than the D610, particularly while the D4 is still selling new." It's also selling for £1450 at many other retailers. So, once again, I'm not saying that they should sell the Df for less than the D600/610. I thought I made that very clear in my initial post when i said "Happy to buy at £1600 body only." The Df body alone will likely drop a bit in price over the next 12 months. Though not as much as you want. The reviewer came across as trying his damned hardest to fault it and some of his comments 'cons' seemed almost petty. Criticizing having to use the exposure compensation dial with your left hand that may be supporting a lens?.. Isn't this the case with all camera's modern or old? It seem's the reviewer was comparing ease of use of controls to that of modern camera's. Hmm.. product development means improvements on past ways of thinking. This is a retro camera harking back to an era where dials and the like were not the most ergonomic by today's standards but seen as the best at that time. A modern DSLR of today looks like it does because of these developments. If the DF was as ergonomic as a modern DSLR then it wouldn't look retro. It looks like an abomination. Handles like a Nikon. (Clumsily.) Feels cheap. And is overpriced. Canon- take note- produce a digital FTb or F-1 that takes EOS lenses and eschews the "melted-down" look, and I'm there. Gee the one I shot some test shots with handled just fine and felt plenty solidly made. Lol :-) I think canon's feel cheap and UI are awkward. Sure you are. I can't tell you how often people use that "If it had "X" I'd buy it in a heartbeat!" when we know it's all hot air. Canon would charge $3000 for an F-1 remake, at least, and you wouldn't buy it. They should have built it with a mech. shutter a mech self timer and match needle exposure. Retro technology gee, if it was cheap and cheerful that would be great, not at these prices. As an owner of the DF, I was was amazed by how much it resembled an attempt to damn with faint praise. Then I saw the rating and saw the reviewer had to concede the excellent performance of this camera in the face of his prejudices. I began seriously taking photos in the 50's through a series of Pentax, Canon and Nikon film SLR's. The DF harkens back to these days and I am unashamedly in love with it. Unlike the opinion the reviewer, I find this camera feels quite solid and substantial. It also has wonderful creative capabilities and provides logical access to them. No other DSLR can surpass it in the excellence of its images. It cries for prime lenses, not zooms. If you are a lover of fine craftsmanship, appreciate the old days when the photographer controlled the camera and not the other way around, want the finest available image quality and are into walk around street photography and stunning portraiture, this camera shines. The price is high, but the rewards are great. Very well said. I believe that you have understood what this camera is all about. No, if you are an old guy trying to relive the 70's, this cameras for you. Agree; this camera takes you to dark ages in fast forward mode. I never photographed with film camera so why should I bother to go back in time that I never lived. Hype and God knows where Nikon is going. Damn, give us a Sony Alpha 7 camera. PS: I am a Nikon Shooter (D300s and D40). Solid and substantial. Yet not overly heavy. Spot on. I can't see where the "quality" criticism is coming from. The Df feels fine to me. And nothing wrong with the looks. Nostalgia doesn't come into it. It's a thoroughly modern camera inside yet offering the traditional controls a fair number of us like. When you realise that it's roughly the same price as a Sony RX1 (which was given a Gold award), yet the RX1 has a single fixed lens, no viewfinder, no grip whatever and limited external controls, the Df looks good value for money. Techmine, you don't need to go back in time, Nikon has other options for you. If you can't appreciate the DF, just buy another camera. No one is forcing you to buy this one. "...why should I bother to go back in time..."
YOU, don't have to go anywhere..buy what pleases you. absolutely get the A7 a camera that has no system, no second party support, slow focusing, terrible tracking, kludge adaptors to mount lenses that rob it of it's size advantages. Actually no, you buy a Leica. Or I guess you can drink the Nikon Coolaid, its your money. This looks like a good camera, but I just can't get past the fact that it is (at least in Europe (I'm in the UK)) waaaay overpriced. Buying a D800, a far better spec-ed camera is hundreds of pounds cheaper here. 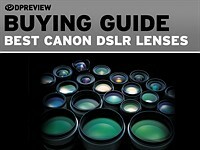 Those looking for manual controls can alternatively look at an X-pro1 or X-E2 plus a full set of lenses for the same price. At this price the Df just does not make sense, unless money is no object. I will wait and buy one second hand in a few years from now. Frame and concentrated on the coming event that you want to capture. If you you want the finest availabe image quality, go for a D800e. 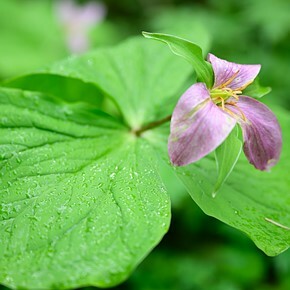 It is simply untrue that the D800E has the best image quality. First of course the D4 is useable at much higher ISOs. Then lenses matter a great deal for image quality. So that opens up the field to the Leica M240, and good Leica M lenses are better optically than good Zeiss lenses that you can use on this Nikon body. Last you of course forgot the Sigma SD1, which at ISO 400 and below does amazing image quality. You took a simplistic approach--thinking that mega pixels are everything. DR isn't great on the D800 either. But the Nikon D800 isn't "better specced". And that's a point you chose to ignore. Now the D800 may do things that you find important, but that's only for your purposes. Then whatever camera you use, the lenses really matter too. Until 6400 ISO D800e is way better than a Nikon D4. Lenses? Have you ever tried a 55 Zeiss Otus? No Leica can be a match…. not even the Apo Summicron. HowaboutRaw: Of course it is. What are you smoking? Yes I've tried out the Otus on a D800 and D700 indoors and out, but you see I've also tried out the new Leica M f/2.0 50mm. Further testing is in order, but if I had to pick today I'd say the Leica wins pretty easily. Then, the problem with the lower ISOs on the D800E is dynamic range, or course a better lens does help there, and yes you've picked a good example. And it's certainly not like I think the D800 a bad camera. 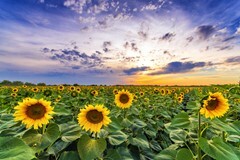 There's no "of course" about it with the same lens the D4 will beat the D800 for dynamic in range into lower ISOs. And then of course for high ISO shooting the Df is much better specced than the D800. Also you completely ignored the points about the Leica M240 and the Sigma SD1. The D800/E is a good camera body, but it has drawbacks in some situations. You don't seem real interested in good image quality. Okay Ming Thein thinks the Otus excellent, so do I. Didn't see flair when I tried the Leica 50mm f2.0 APO. And the Leica appears to handle colour better, though more testing is in order. One problem with Ming's point, he seems to think that f/1.4 makes the Zeiss a better lens than the f/2.0; that's simplistic thinking that he should know to avoid. Of course, right the Otus is indeed faster. the not so great low light autofocus, non interchangeable focusing screen and no focus peaking are the only problems I see with this camera. I may not like it's looks, but that's just me. I'm happy with the Df as it was a no brainer for me ... I was unmotivated to want to carry my D3f as it was too large and too heavy for the kind of photography I was using it for. I wanted D4 quality at least, and I had a large investment in Nikon lenses. I don't see any AF problems and other limitations noted are not a show stopper for me. I ordered an excellent condition non-Ai lens on eBay for $100 for use with it. Photography has gotten better for me with the Df. D4 quality - half the size, half the weight, and half the cost. An even trade in dollars for my D3s ... I'm happy. When reading this review i came to the conclusion that the Fujifilm X100S i just bought was a good investment after all, and that at a much more humane price than this retromonster from Nikon. Funny, I wanted the Dƒ because I wasn't entirely satisfied with the X100s. Great images and colors tho. 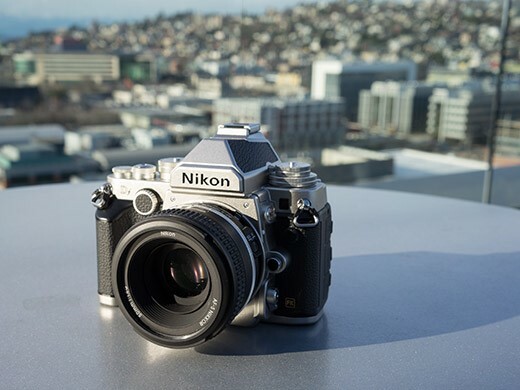 Why punish Nikon for stepping out and producing a beautiful retro camera. It's not like they abandoned their normal model range. They just paid homage to the classics. Red Dot does it every day. Auto and motorcycle companies do this rather often too. Nothing wrong with it. And of course the internals are from a current model, did you expect they create a whole new product just to sell a handful for those with a sense of nostalgia? As a non-Nikon fan, I think Nikon should actually be praised for thinking out of the box for just one model. Nice concept! I agree. But they built this up to be bigger than the D800 when it's more of a nice design exercise. The whole idea of a retro-breakthrough is awkward and implies older was better. That may be true with stuff like cars or computer operating systems but obviously not with high end digital cameras. The problem is that it does not look authentic. Red dot makes cameras that has that old style and looks to be made out of all metal. The Df looks clumsy and not well designed. Just like DPR says, it looks to be made out of to many not compatible materials. That said - it is a rather pretty camera. It just misses the mark for looking genuinely retro. Have you handled a Leica M240? It's kind of clunky. Have you handled the Df? And shot with it? @HowaboutRAW - re the new M - have you? 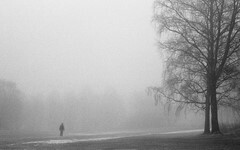 Yes I've shot with the Leica M240, new fall 2012. No, not days of testing in all sorts of environments, but say 50 raws with various M lenses over a few days at a trade show. I don't care too much about this retro look, even though it looks good. What I like is the performance and the smaller size than D4. I never cared for D800 as good as that camera is, I don't need to fill my drives twice as fast. NEF Files can not complete the download for low light comparison. What camera (I'm assuming the Df) and ISO combination are you referring? I was able to successfully download the Df low light scene at ISO 100 Raw. Steve Huff's review is up. I find his review is closer to my own reaction to the Dƒ. "I can have any DSLR or camera that I want and for me, the Df wins it. If I designed a DSLR for my own use it would be 75% Df and 0% Canon 5D. Enough said." Finally, a real user review by someone who understands the essence behind this camera. I think it's a fair review with positives and negatives. I still feel that he better understands the essence behind this camera. You should read it. @Simon Aha! The DPR staff divided? Nikon has succeeded. But seriously, I would love to hear the bar-dialogue. Surprisingly large number of samples images come from there! You can't be unanimous all of the time, can you? A reviewer should never be sarcastic. Remember who pays you. "A reviewer should never be sarcastic." The sarcasm reference was to Simon's comment -- not the review. You grow up. I had fully understood that he was referring to Simon's comment which was initially addressed to me. Go take a walk and calm down. I would hate to be responsible if anything happens to your blood pressure. Yeah, whatever, clown. You are paying nothing to use the site. You can always take your money and run...to what tickle your fancy better. "Blogger Steve Stonewall Sets World Record with 400th Consecutive Positive Review"
Has there been a camera or lens that Steve Huff has not liked? 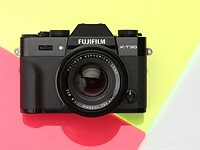 Yes, all of the Fuji X cameras except the X100, all other dslr's etc. Uh, newcamerareviews.com is a humour site. theonion.com of photography news. pretty much all the reviews have been more positive than the one presented here. Man, the DPReview reviewers are real heretics. 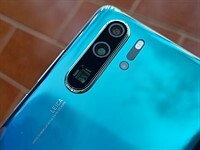 They also revealed decentering issues with S100 lens which no one else even noticed. Steve Huff? The same who says that with that old style you won't dive into menu? Truly professional review… I won't use the menu even on my D800e, it's quite the same since I can control every parameter as with the nikon df….bah. Reviewers over 40 should probably qualify themselves as such. Gives and idea as to where their sympathies are regarding 1970's-style cameras. He calls it a winning camera, but what about the 25% of it that he doesn't like? When trying to recreate a classic, its important to remember the functional ethos that made the original great in their time. The originals not only looked a certain way, but were the best performing equipment of their times. The pure functionality of the originals imbued every aspect of their design with passion and meaning, and allows the classic to stand the test of time. When trying to recreate the classic, one approach is to pair a slavishly retro design with sub par performance so that a product can be sold at a high profit margin. Or, you can utilize the design elements of the original in a modern body with the highest performance achievable in the modern day, hence creating a modern evolution of the classic and pulling its heritage into an even greater story. The Ford Thunderbird 2.0 was retro. The modern 911and Corvette are classics. Guess which one is the Df? More like a Mustang II I'd say. Did I understand correctly that the poor focusing in low light effectively defeats the value of the impressive low light capability of the sensor? You understood correctly, except the occasions when using a manual lens. Why most of the crowd forgets that this product is targeted to the old, valuable and expensive manual lenses? But, valdazis, isn't that exactly the reason why this camera should have a split image viewfinder, and maybe interchangable screens also, for all those manual focus lenses which don't need an AF system but could usefully benefit from a split image? I'm in two minds, because I never liked split image finders and got rid of mine for a ground glass - at least I had the choice. Here you don't. This product isn't targeted to manual lenses…because its focusing screen is poor as any other DSLR on the market…. It's way better focusing with an EVF. It definitely doesn't help, and AF is very important with a DSLR in low-light as manual focusing is horrible in such a situation, unlike with modern EVF's. However, I don't see the huge fuss about a split prism focussing screen and wonder how many have actually used them (if you do, beg pardon). I have and hate them on a modern camera. It screws with metering and is a distraction when shooting AF. At best it's a novelty that the ordinary user will simply swap out while getting dust in the body. Split prism focusing screens have always been an annoyance to me and I have always changed them (when possible) in my older film cameras. Most people asking for this have never used them, or have forgotten how they were. I have always preferred fully mat screens with no distractions other than a grid. Me too. It was nice to have the choice, back then. I have a split prism on a Yashica FX3, nice camera. The split prism works OK, but it's no big deal. It harks back to pre-autofocus era. On autofocus cameras, film and digital, I use focus-confirmation, same as on the Df, if I want to manually focus; works just as well. Dear DPR staff, this may be nitpicking, but: 1/4000th sec is not maximum but minimum shutter speed. Please. I agree the terminology is unsatisfactory, but 1/4000 s really is the maximum speed, even as it is the minimum duration. That's not even completely right. The literal speed of each curtain is constant unless I completely misunderstand how shutter timing works. Which is possible. To be exact; 1/4000th is the maximum speed of the shutter consequently the minimum exposure duration. @Muus=totally wrong statement, @Samuel Dilworth= Your agreement with Muus is wrong and illogical because your explanation is correct. IMHO the terminology is satisfactory and correct also. if you think of shutter speed as seconds/cycle, then it makes sense.. 1/4000 is the fastest it can complete a (shutter) cycle, i.e. the max "shutter speed"
To be exact, oselimg, speed is not measured in units of time, ergo 1/4000th second is not a measure of speed, fast or slow. The curtains moved at a fixed speed, regardless of the shutter "speed". The change in shutter speed is down to the change in the interval between the first and second curtain starting their travel. 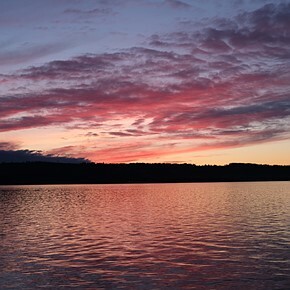 It doesn't help that we always refer to shutter "speed", when it is really a shutter time. Much ado about nothing I suppose, but I've got time on my hands...(said the watch). Nikon communication campaign based on "pure photography" and other ad tricks created a lot of expectations, maybe too much especially on this website. Then we discovered a very different look and a relatively high price. The later is why DPR review is what it is. Despite missing an award on DPR, that camera is a very good one and should please those willing to use the excellent D4 sensor, external dials and legacy lenses. The awards are very subjective and obviously not based on pointage. It's a very different dslr with a different user interface. For my style of photography, it's perfect. I have lots of other cameras if I need to use larger lenses, etc. Still not sure about the Df. It looks better in person (neither finish comes close to classic nickel/chrome or black enamel), handling is good, it's relatively light, it can take photos in the dark, for which my D700 is good enough, but still impressive. Tried it with some old lenses and now I get the 16 mp. I still think the Df is a solution looking for a problem but it's a nice solution and I wouldn't expect anybody who buys one to say "it's nice but not perfect" even though this is the case. People were possibly tired of dull, black, cookie-cutter DSLRs. At least, anyone but the average consumer. Nice review overall, comments as expected, love it or hate it, no gray shades. More choices, good for everybody. Funny how people can get emotional about consumer products. Happy Holidays and nice 2014 to all at DPR. You either like this camera or you don't. Like you said 'no gray shades'. The camera is almost a parody of what I believe it was intended to be. enough buttons, dials, switches to sink a battleship. Like it or loathe it, at least the Pentax K-01 attempted to simplify the external interface. Canon fanboi talking about things he has no knowledge of. If the goal was to achieve a "retro" look, it failed. It's a hybrid of modern and old, a mish-mash of dials that give it the appearance of a WWI battleship, which were ugly as sin. Have you handled the body? "Cons" in the overall summary doesn't include lack of video? Or has that been implemented? Firmware update? My understanding is that on a camera with LiveView, video is "just" firmware. My Canon 50d didn't have video, but did have LiveView. The MagicLantern firmware team were able to implement video on the 50d. Amazing. It will be a slap if once the nikonhackers will implement the video in DF. It's not "just" firmware, but there are a number of hardware considerations as well. Things like needing a larger memory buffer, additional CPU power to encode the video, and heatsinks to dissipate the heat from the sensor. That's not to say that the Df doesn't have all those things and video can be enabled with "just" a firmware swap, but without knowing the engineering underneath the hood, no one can say for certain. Interesting to see how many grown-up people actually fall for a cheap packaging of completely mediocre content. Even the sensor recycled from the D4 is meh at best. Mediocre. Sad, if that is what comes to mind with a recent product. Mediocre. D4's sensor meh? Ok, case closed. I'm sure you are enamored with something I would think ridiculous. Different strokes. It's no skin off your teeth either way. It's not surprising - people take their pet rocks to the pet rock doctor. The level of delusion required to buy a tarted up D610 with no video if far lower. Better high ISO lowligher performance than the D610 is an odd way of saying "tarted up". Definitely Camera of the year. No video is absolutely the right direction. If you like good video...buy an Arri, not this one. You have obviously used the camera for more than five minutes and understand the essence behind it. "If you like good video...buy an Arri, not this one." Calm down. Noone will buy it for video. Do you mean the chrome one or the all black one? I've avoided chrome on any camera for a long time; I'm not into retro looks for the sake of it. But to me the black Df I've just bought looks superb. 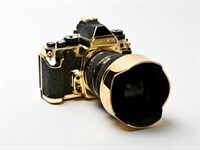 I hate to say this, but I think you are the only one to find this camera ugly. It looks even better in real life, but beauty is in the eye of the beholder, right? If we all liked the same things, we would all be driving the same cars, and buying the same homes, etc. p.s. It doesn't look like a medium format Kiev 60. I have one of those and I admit they are not very pretty but they get the job done. You and at least six other people who have seen your comment, including myself. A hodgepodge of silvery buttons stuck onto an angular silvery body with a plastic screen outback like some Frankenstein monster. Ugh! I've seen both the silver & black edition in the store. The silver version looks more credible than the black one, which feels to me 'plastic fake'. There's indeed in this concept something wrong, a certain refinement or better: consistency is missing in the design and concept. It's also smaller than I thought it would be, about the same size of a Fujifilm X-Pro1. It's an excellent camera's I'm sure, but both the price tag as the AF system cannot convince me. This marvelous sensor should have deserved something better than the D610's AF system, also in this camera the wrong choice. If you want an high end FF, just buy the D610 or D800 and they will offer you more value for a lower price. Not if you care about shooting in lowlight at high ISOs the D610 and D800 won't cut it. THis was the camera I lusted for back in 1972, but luckly I was able to get an AP Spotmatic F (still works perfectly to this day). If you read the comments.. it's low light where the camera falls down (AF only good in good light?).. It will give good low noise images at High ISO but not a capable performer in focus terms; Not as well as the 'won't cut it' D800 you mentioned. Alan, you have read enough personal reviews on the Nikon page frrom experienced users to know that not true. And if you've read comments here, AF in lowlight is fine; this has been my experience too. Looks to me like you're going with believing the review instead of those who say there's something wrong with the review. Anyhow I use Zeiss MF lenses particularly since they improve high ISO shooting. I played with one of these in the store yesterday and I agree without his review: They picked and chose which features were "retro" quality and which parts were modern mid grade. The whole package just doesn't add up the way it should have. Its a shame, because picking it up just doesn't feel anything close to an old F. It seems like the OM-D line to me in this regard, where they sacrificed ergonomics for classic styling without really digging into the core of what made these old cameras so great (and usable). I wish that this was an old style camera with a bit of the wisdom Nikon has gained from making what I consider the finest and most refined SLRs on the face of the planet. But it really ends up feeling like a compromised frankenstein. I was very excited for this camera, but I am actually pretty disappointed now that I saw it in person. Have you handled and shot with an Olympus EM1? I thought he body on a whole felt like modern techno plastic with some metal dials on top. "felt" that wasn't my question. So which materials did you think were "modern and mid grade"? Also I didn't ask about Df ergonomics. My Df arrived yesterday, spent last night setting it up, today nipped down to the sea in wet squally conditions to try a few sample shots, and survived! Initial thoughts below. The big question in my mind when ordering it was grip and handling. The grip is fine; I can just grab the camera with confidence, and it's designed to work well with the top mounted shutter release. Likewise handling feels great; no nasty uncomfortable edges where I wondered if there might be. Don't understand the comments about quality. Feels like a solid, very well made camera, despite being relatively light; most modern DSLRs feel like plasticy lumps, even when they're not. It's what I was looking for when ordering it; a relatively light and compact full frame camera which has traditional controls, thoroughly modern innards and handles well. Forget about nostalgia; it's that combination which appeals to me and to others. Value for money? Same price as a fixed lens Sony RX1 with no grip or viewfinder. Do you really expect somebody to buy one of these and say "Now that I've spent this much and used it for a while, I have to admit (to myself) that it's less than perfect". There is no such thing as perfection. I have purchased cameras that after using them, I did not like. I really don't agree with you on this. What's 'perfect' for you will not be for me, otherwise we would all be asking for the same products. "Buyer's remorse is the sense of regret after having made a purchase. It is frequently associated with the purchase of an expensive item such a car or house . It may stem from fear of making the wrong choice,..."
No, you got that wrong, but I think you know that already. You mean you spent that much money without ever even handling the camera?! I don't think that follows from what has been said. You seem to imply that only by buying in haste is it possible to come to regret a purchase.